Welcome! 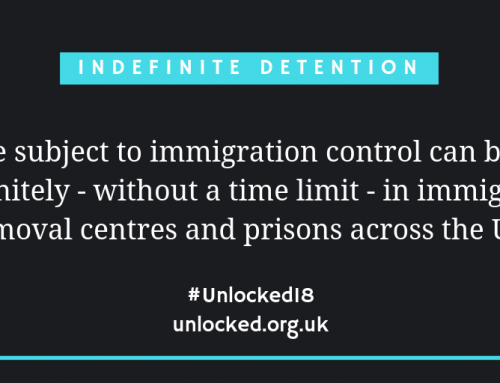 #Unlocked18 is Unlocking Detention’s fifth ‘tour’ of the UK’s immigration detention estate, shining a spotlight on the hidden world of immigration detention. Maybe you are a repeat visitor, maybe this is the first time you’ve heard about Unlocking Detention. 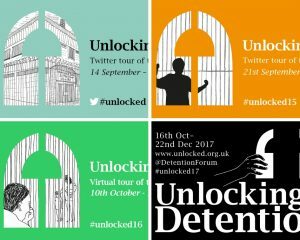 Unlocking Detention’s ‘virtual tour’ uses Twitter, Facebook and blogs to ‘unlock’ the gates of immigration detention centres. Each week, we will be ‘visiting’ one of the detention centres in the UK, hearing from people who have been detained there, volunteer visitors, NGOs, campaigners and the families, friends, neighbours and communities over whom detention casts its long shadows. Every year, behind the scenes, the ‘tour’ starts with mixed emotions. Seeing so many different things come together during the months of preparation is exciting: discussing themes, recruiting volunteers, choosing logos, contacting bloggers … It’s always a rewarding time of team work and creativity – and a lot of hard work, of course. On the other hand, we also have to ask ourselves the same question over and over: why on earth do we even have to do this again? Why do we still have immigration detention? 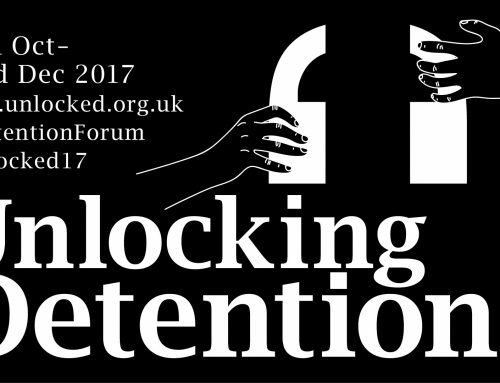 During this year’s ‘tour’, as well as introducing new material, we will also be looking back on the journey of Unlocking Detention – to reflect on our achievements and think about what is still to come. 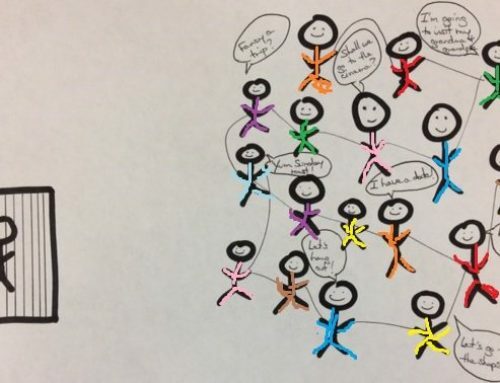 Our volunteers have also created an amazing timeline of Unlocking Detention story! We will be unveiling this over the following months – so please stay tuned! But before we begin this year’s tour, here’s some of our collective achievements. 2014 was the first year we (the Detention Forum) started using the terminology, experts-by-experience. We were always frustrated by the way that individuals with direct experience of immigration detention were used only as case studies, victims, “clients”, being expected to tell stories that the listeners wanted to hear. Now, we see more experts-by-experience leading campaigns and getting involved in advocacy. At the same time, more mainstream organisations are now involved in challenging immigration detention: in 2014, only detention specialists and some legal practitioners talked about detention. Our collective voice is getting bigger. Before 2014, immigration detention was such a minor subject in parliament that you could count the number of parliamentarians willing to talk about immigration detention on one hand. The 2014/15 parliamentary inquiry into the use of detention changed all that. As I write this, we have two committees (Home Affairs Committee and Joint Committee on Human Rights) conducting inquiries into immigration detention. Written Questions about detention are being asked almost daily. Just last week, I went to two parliamentary meetings where immigration detention was discussed. It has become such a hot topic that most of the political parties now include pledges to end indefinite detention in their election manifestos. This shift is huge. Many people’s efforts, numerous reports and inquiries, culminated with the oral statement delivered by the Home Secretary in July 2018. In response to the follow-up Shaw Review, Sajid Javid announced a package of ‘innovative reforms’ in immigration detention system, including the introduction of a community-based alternatives to detention pilot for vulnerable women and an internal review into time limits in other countries. This is probably the most concrete sign that the government is taking the need for detention reform seriously. Where and what all these achievements are leading to is yet to be seen. Yes, several detention centres have been closed down over the last years. Yes, the number of people entering detention has also gone down somewhat. Yet, the reality is that thousands of people remain locked up, today, right now, not knowing when they will be released. Change is yet to come, and we hope more people will join us in metaphorically unlocking the gates of detention centres. See you at the ‘tour’!